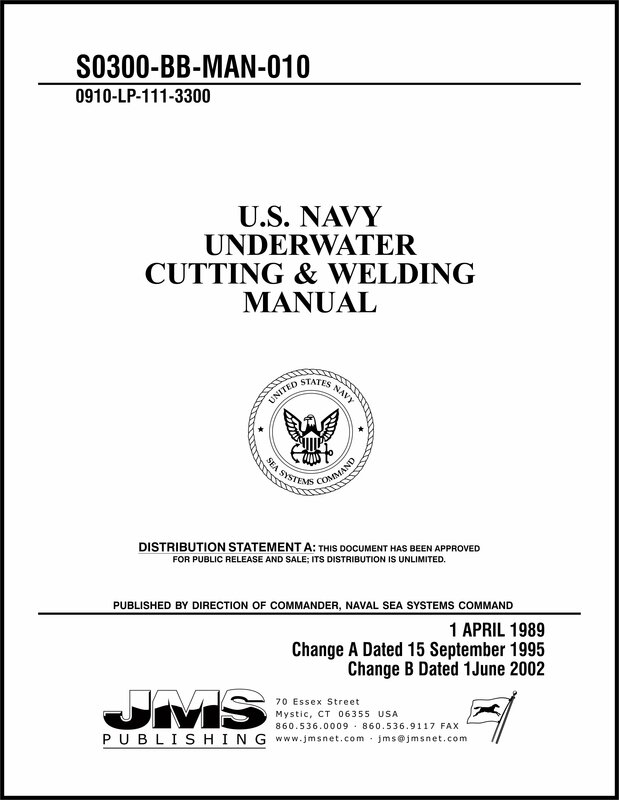 This manual incorporates the U.S. Navy’s state of the art equipment and tried and proven underwater cutting and welding techniques. It is a collection of Navy fleet and commercial experience and has been reviewed by technical experts with extensive salvage and underwater cutting and welding experience. It is the most current information on equipment and procedures available.